Now where was I? Oh, that’s right. it was the ’90s, and I was kicking out a food zine back in those pre-blog Internet-free days we somehow managed to live through. We had more time for some things and less for others. We certainly didn’t spend much time taking pictures just to show the rest of the blogosphere how well-traveled we are, but there it is. 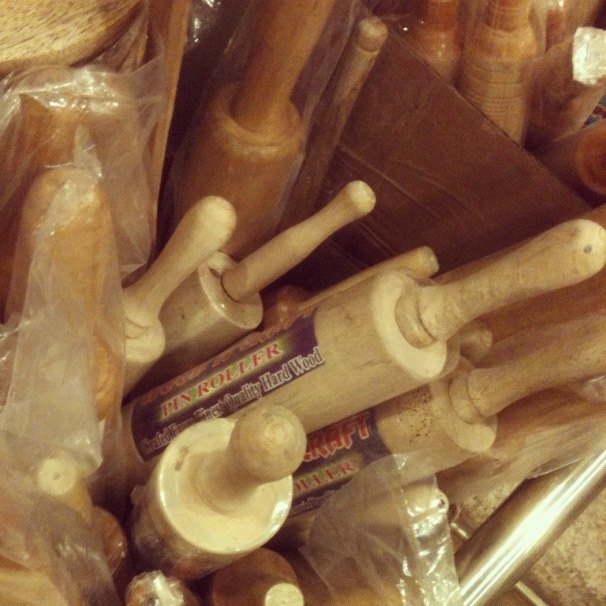 A jar of wooden rolling pins, which caught my eye in Curry Hill, and which, hashtagged Little India, Curry Hill, Bombay and NYC, got likes from as far as way as Delhi.